The basic ingredients for French toast are almost always available: stale bread, eggs, milk, butter and a frying pan. But the taste can vary depending on the toppings you select. Don't be afraid to make French toast with more than just stale, white store-bought bread. My favorite way is to use thick slices of either French or Italian bread, especially if it has seeds on the top of it. 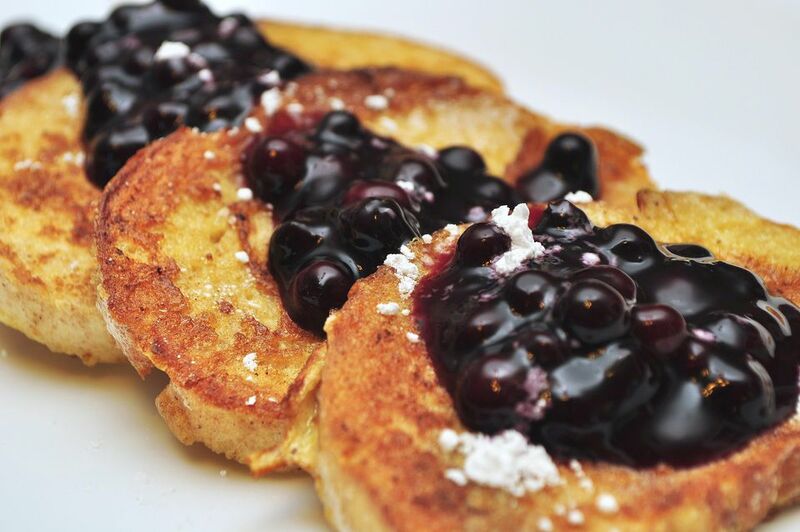 French Toast Isn't Just for Breakfast Anymore. Why not serve French toast as dessert? What is the difference between putting a topping on top of pound cake or on top of French toast? In fact, just the other day, someone told me about his favorite way of preparing French toast. He used very thick slices of sourdough bread for the toast. Before serving, he punched down the centers of the slices and put the strawberries inside centers and then topped with whipped cream. He served his French toast for dessert. In a shallow bowl with a fork, combine eggs and milk. On medium, heat frying pan on stove. Either melt a little butter or spray pan with vegetable spray. Dip bread into a bowl with egg mixture. Make sure both sides are wet. With fork, allow bread to drip over bowl. Place slice of bread in pan. Continue process with the other slices. Turn slices over when bread slightly brown. Remove cooked slices to a plate and keep warm. Sprinkle with powdered sugar and serve warm with syrup. *If I've got some leftover thick crusty bread like French bread, I much prefer using it over regular sliced bread. Also, when I make more French Toast than this, I prefer to mix my milk and eggs in a 4-cup measuring cup. Then, I only pour enough mixture in the shallow bowl to dip a couple of slices at a time. This way you don't end up with too much or not enough egg in your mixture.